Oh das wäre auch geil gewesen. Man kann ja auf die e3 hoffen. Spielt gerade: Geralt zum dritten! Schön das beide wieder am Start sind, Joel hätte ich vermisst wenn er nicht dabei gewesen wäre. 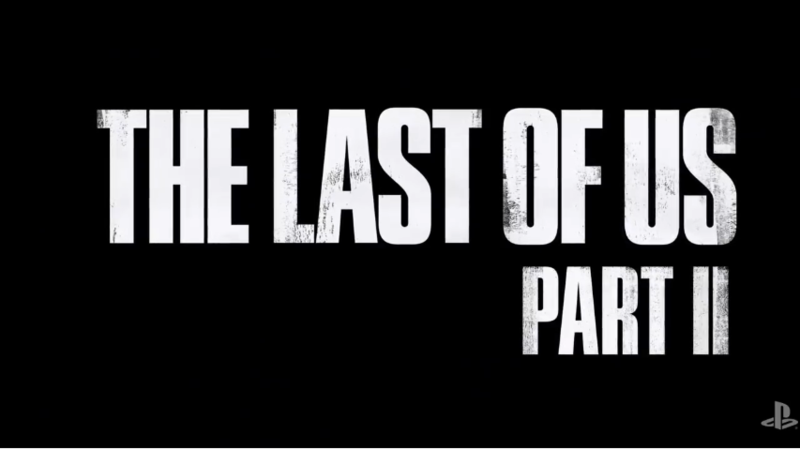 Frühestens 2018- max Ende 2019 die sagten "early Development"
Let’s cut to the chase: the sequel to The Last of Us is happening, and it’s called The Last of Us Part II. I can’t tell you how satisfying it is to finally be able to say that Ellie and Joel are back for another intense, harrowing, and emotional adventure. Like many of you, we have a deep love for the world of The Last of Us and its characters, and while a sequel may have seemed like a foregone conclusion, that wasn’t the case. We knew that it needed to be a story worth telling and, perhaps more importantly, a story worthy of Joel and Ellie. After spending years on different ideas (and almost giving up), we finally uncovered a story that felt special—a story that evolved into an epic journey. It’s still early days for the project—the game’s release is a ways off—but we couldn’t wait any longer to give you a glimpse of what’s to come. We’re going to let the trailer speak for itself, but expect more information about The Last of Us Part II in the coming months. In the meantime, if you’re at PlayStation Experience today or watching the livestream from home, don’t miss our panel at 2:00pm PT where I’ll be joined by Ashley Johnson and Troy Baker to talk about the reveal. Keep an eye on Naughty Dog’s channels to see more of what we’re up to this weekend. Until next time, endure and survive! tlou wurde auch ende des jahres angekündigt. release sommer 2018 ist vielleicht drin. Ob sie im Timeskip weiß was Joel getan hat am Ende? Einfach geil. Ich habe es so sehnsüchtig erwartet. Mit sehen meinst du Delsin und Ocelot oder? Hat Troy gerade gesagt das der Trailer nicht im Spiel ist, sondern nur für die Ankündigung gedreht wurde? gustavo santaolalla macht wieder die Musik!